Pianist and composer Ludovico Einaudi was born in Turin, November 23, 1955. His mother, also a pianist, would play for him as a young child, planting the seeds for what would become a fruitful, illustrious career. Einaudi studied under Luciano Berio at the Conservatory of Milan, graduating with a diploma in composition. In 1982 his talents would win him a scholarship to the Tanglewood Music Festival. The experience opened Einaudi's ears to new ideas like minimalism, world music influences and aspects of pop music. He spent the next several years composing for the ballet, including Sul Filo d'Orfeo (1984), Time-Out (1988) and The Wild Man (1991). Einaudi turned a corner in 1996 with the release of his first collection of solo performances, entitled Le Onde. This record started Einaudi down the path towards becoming one of Europe's best selling pianist/composers. 1999's Eden Roc and 2001's I Giorni, both for BMG, captured the solo piano world's attention, both remaining best-sellers for years to come. While seemingly at the top of the composition world, Einaudi ventured into the world of film composition, a journey punctuated by his Best Film Score award in 2002 for his work on Luce Die Miei Occhi. Einaudi noted interviews during that period that he missed concertizing, and began performing again regularly. New works blossomed from this effort, including 2004's Una Mattina and 2006's Diario Mali. 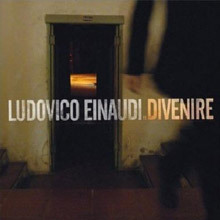 2007 welcomed Einaudi's seventh studio album, titled Divenire, where he is accompanied by the Royal Liverpool Philharmonic. The follow-up, 2009's Nightbook, was much more self-consciously reductionist, featuring solo piano minimally adorned with electronics, and saw Einaudi begin to be appreciated by fans of the "post-classical" school that he had arguably, at least in part, inspired. A double-disc best-of, Islands, was released in 2011, and at the beginning of 2013 he signed a new deal with Decca and unveiled the long-gestating In a Time Lapse, which had been recorded in a remote monastery near Verona and saw a return to a more "classical", chamber music sound. 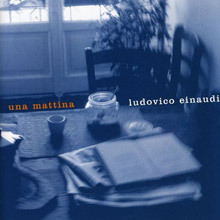 While his previous album, I Giorni, was based on a 12th century Malian folk song about a hippopotamus, Italian composer Ludovico Einaudi's 2004 follow-up, Una Mattina, is inspired by a much more simple premise, his daily routine and the Piedmont vineyard where he resides with his family. The 12 autobiographical, contemporary, and minimalist classical pieces are all piano-based with the exception of two tracks featuring cellist Marco Decimo ("Resta con Me," "DNA"). Sometimes dubbed a "minimalist" for his simple elegance and openness of expression, the bestselling Italian contemporary classical composer and pianist mixes eloquent solo piano pieces like the graceful, reflective "Monday," dramatic, film score-flavored compositions recorded with the Royal Liverpool Philharmonic Orchestra (the moody title track, a sweeping and soaring &amp;"Primavera"), and other tracks, swirling his piano with such quirky effects as loops, cello improvisation and overdubs, and reverse piano loops. Beyond those, one of his most striking compositions is "Fly," which builds an orchestral intensity on par with "A Day in the Life" and adds the touch of electric guitars to a spacy, liquid landscape. His masterful, multifaceted texturing skills make this thought-provoking, breathtaking in spots disc effective as a hypnotic, new age pop type listen perfect for meditation as well as an extension of his actual film score work. 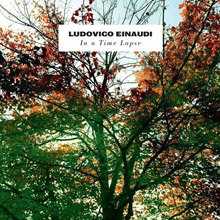 Italian pianist Ludovico Einaudi, grandson of an early president of postwar Italy and student of Luciano Berio, has at times used either his first or his last name solo. His music is a bit difficult to pin down, for it treads up to the lines of minimalism, new age, and pop piano without quite going over any of them. It depends on repeated, slowly shifting piano figures but is too grand to be really minimalist. Stress reduction and contemplativeness are the chief virtues ascribed to it by its admirers, but it doesn't have the improvisatory jazz basis of American new age music. And though individual junctures might sound like passages from Elton John, the music tends to stop short of pop emotional payoffs and go off in a new direction. This generic slipperiness is the key to Einaudi's appeal, which seems set to expand to the U.S.: as in the days of old, where recorded music was conceived of primarily as an aid to selling live concert tickets, In a Time Lapse comes stickered with an American tour schedule. Should you try it out? Einaudi has the odd combination of being original without being especially challenging; his music sort of lies there. But this release may well be a good place to start. Its most noticeable new feature is a light overlay of pop electronics not present on Einaudi's solo piano and piano-and-orchestra music. It actually works well, lending rhythmic and textural variety to the beginnings of each piece. The music soon enough progresses into chord arpeggios on Einaudi's piano, but he has the opportunity to apply his simple musical logic to a variety of moods. This, too, sets the music apart from new age models. In short, who knows? Even if crossover is not your bag, you may find yourself drawn by this. Or maybe you just want something that will relax you in freeway traffic. Einaudi could work either way. 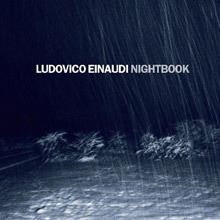 Italian pianist and composer Ludovico Einaudi describes his album Nightbook in this way: "A night-time landscape. A garden faintly visible under the dull glow of the night sky. A few stars dotting the darkness above, shadows of the trees all around. Light shining from a window behind me. What I can see is familiar, but it seems alien at the same time. It's like a dream -- anything may happen." Although such language may sound like it has little if anything to do with music, it communicates the mood of this album as well as can be done with words. Consisting of chamber works for various combinations of classical and modern instruments (violin, viola, cello, live electronics, vibraphone, frame drums, electric bass, acoustic guitar, etc. ), Nightbook succeeds most fully when it embraces that mood of shadowy mystery: pieces like "The Snow Prelude N. 2" and the almost pointillistic "The Planets" use spacious arrangements and relatively minimal melodic foundations to create deceptively simple-sounding soundscapes of ravishing beauty. When Einaudi tries to rock out, the results are a bit shakier: "Lady Labyrinth" suffers from blocky rhythms and a simplistic, rather than simple, chord progression -- it ends up sounding like your uncle the piano professor trying to identify with the younger generation's music. The vast majority of these pieces are spectacularly lovely, though, even as they gently deceive the listener with surface simplicity. This imaginative album of remixes from Einaudi’s 2013 studio album opens with a reworking of ‘Experience’, entitled ‘Circles’ where Einaudi is complimented with haunting vocals from Greta Svabo Bech. Other tracks include the Steven Siegel remix of ‘Time Lapse’ which brings Einaudi’s yearning solo piano piece to an exciting up tempo synth based climax of lush EDM pop. U.S. DJ Starkey provides two amazing remixes of ‘Walk’ and ‘Experience’ with Dot Major reworking the title track and Robert Lippok remixing ‘Discovery At Night’ Finally ‘Walk’ is also remixed by Phaeleh who brings his brand of cinematic electronica to Einaudi. 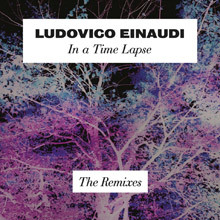 Einaudi’s music is prime for interpretation by today’s contemporary DJs and musicians and In A Time Lapse - The Remixes is a courageous and inspiring collection. One of those composers whose name you might not be instantly familiar with, but whose music you certainly will be, Italian pianist Ludovico Einaudi has been captivating audiences for the best part of two decades with his beautifully delicate and minimal arrangements, many of which have gone on to become soundtrack staples for everything from costume dramas to TV adverts to Hollywood films. 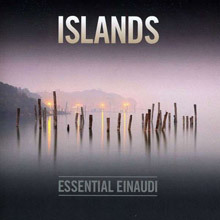 Celebrating his increasingly popular output, Islands: Essential Einaudi compiles the Milan Conservatory graduate's most recognizable pieces, with material from his first solo piano record, Le Onde ("Questa Notte"), right up to 2009's synth-based Nightbook (the gothic cello-led title track), alongside a brand new composition, "The Earth Prelude." There are also two of his contributions to the small screen, "Fairytale," whose simple melodies reflect the elegance of the 2002 Keira Knightley ITV adaptation of Doctor Zhivago it appeared in, and the suitably haunting "Berlin Song," which soundtracked Shane Meadows' unflinching kitchen sink drama, This Is England '86. The bombastic symphonies of "Primavera" and the warm subtle strings of the ubiquitous "Divenire," both collaborations with the Liverpool Philharmonic Orchestra, show Einaudi is just as capable of producing a more expansive sound, but his trademark, ambient ivory-tinkling is much more powerful when it's left to its own devices, as on the lilting "Passagio," the gorgeously melancholic "Dietro Casa," and the effortlessly soothing "I Giorni," the title track from his 2001 breakthrough which recently and belatedly entered the U.K. Top 40 following Radio1 DJ Greg James' championing it as the ultimate therapeutic track to unwind to. Einaudi's signature sound may be a little too sedate for those who like their neo-classical music a little more rousing, but Islands' ability to stir up emotions with just a few chords shows that his works are far from easy listening fodder.